The Internet doesn't forget or forgive and filmmaker Karan Johar should know better. Karan announced Parineeti Chopra's casting in his upcoming film Kesari with a picture of lead actor Akshay Kumar from the film, which was shared last week. Twitter was not forgiving and trolled KJo for sharing the update without Parineeti's picture and with Akshay's photo instead. A few hours later, Karan re-announced Parineeti's casting (this time with her picture) and said: "Ok guys that was meant to be an image of Kesari whilst announcing the lead actress of the film. Clearly Twitter is quick to jump and attack! Apologies!!!!! This is to re announce the wonderfully talented Parineeti Chopra as lead cast of Kesari." 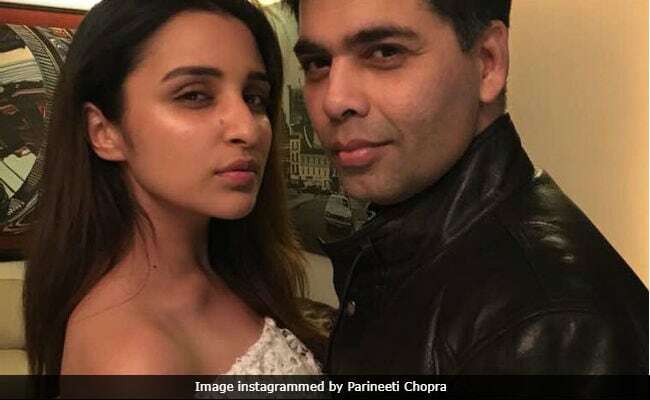 Twitter was clearly outraged by Karan Johar's initial post with Akshay's picture but Parineeti was not offended. She had shared Karan's post and said: "So excited to be a part of this legendary journey!!! Thank you." Karan Johar is the producer of Kesari, which is reportedly based on the Battle of Saragarhi. Initially, Salman Khan was also a co-producer in the project. However now, Kesari is being co-produced by Karan and Akshay Kumar. The film will be directed by Anurag Singh. As of now, Akshay is awaiting the release of PadMan on January 25 when it will clash with Deepika Padukone's Padmavat. Akshay's second release of 2018 is Rajinikanth's 2.0. Parineeti Chopra also has two other films lined up for release - Sandeep Aur Pinky Farar and Namastey England.